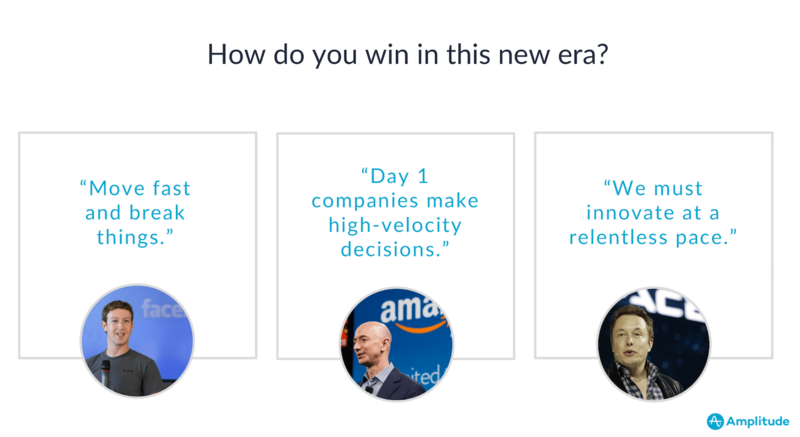 This is the first post in our Product Innovator Series exploring what it takes for businesses to survive and thrive in the product-led era. Amplitude was founded on the belief that companies are about to enter a new era. And if you’ve been paying attention to the leaders of the world’s largest companies, you might share in this belief as well. Leaders like Herbert Hainer, who led the transition of Adidas from an apparel company to using digital to drive their mission of supporting all athletes. This was one of many decisions that led to a 10x growth in Adidas’ market cap over his tenure. Or Enrique Beltranena, CEO of Volaris, who claimed that “in 5-10 years Volaris will be a digital operation that flies airplanes.” Or Bob Iger, who which recently announced that Disney will launch a direct to consumer service to compete with the likes of Netflix and others. All of these companies exemplify this new era that we’re entering - the era of the product-led company. It’s a transition from a time when sales and marketing-led companies ruled the world. But then online came along and with it, a new software distribution model emerged (SaaS). And now we could measure things. We could hold Marketing accountable to business outcomes. But the products being developed, the websites and applications, were essentially marketing tools – glorified digital brochures. Product and Engineering teams were responsible for pushing new releases out the door, but it was Marketing’s job to drive growth and engagement. Product and Engineering may have created the websites of the 1990s and 2000s, but Marketing owned them. Today, however, websites and apps are the product. And this isn’t just in tech. All businesses are becoming digital product companies, and modern product teams are increasingly being recognized as critical drivers of revenue. Take Peloton, an Amplitude customer. In 2015, they were lauded as the best cardio machine on the planet by Men’s Fitness, and yet their CEOs response was: “who cares?” Why? Because they’re really a tech company disguised as a cycling brand. Yes, they sell exercise equipment, but what they really sell is an experience. Peloton is selling an experience and controlling every touchpoint of the customer journey. They sell fitness at your fingertips. 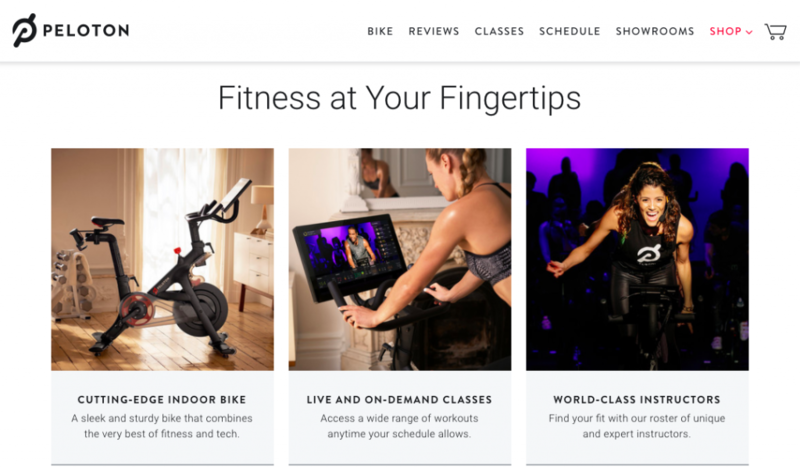 And they control every touchpoint of the consumer journey, from the purchase, to the exercise classes done with that bike. By being able to understand, learn and react to the needs of their customers, they’ve sustained 99% monthly retention and an expected 250,000 subscribers by the beginning of next year. Imagine being a traditional exercise equipment manufacturer and competing with that. You can’t unless you become product-led. All of these companies are changing the game. And they’re doing it by being product-led. So what does it mean to be product-led? Product is now your distribution channel. To learn about your product, people read reviews from other users, or just try it themselves. Instead of spending hours researching upfront, they’re using the product upfront. The buying decision is no longer disconnected from the usage of the product. The freemium model that was made successful in gaming has spread to almost every vertical, from consumer to B2B. If you’re not thinking about how to use product as your distribution channel, I guarantee you that your competitors are. Product is now your competitive advantage. In today’s era, barriers to entry are extremely low and the number of competitors has exploded almost exponentially. You can’t rely on someone using your product just because they (or someone else) bought it. As Expensify CEO David Barrett said, “Our users outnumber the buyers 100:1. They are the ones with the power.” In the product-led era, lock-in no longer exists and retention is king. Product is now your driver of customer loyalty. Consumer loyalty to brands is at an all-time low. Instead, in the product-led era, consumers are loyal to the best experience. And if you’re not continually delivering on that experience you’ll lose. No industry is safe from this. So how do you survive in this new era? Well, we can look at what companies like Facebook, Amazon and Tesla have in common. Speed and agility. So if maintaining agility is so critical, why aren’t all companies doing it?? Because they can’t. The majority of their management techniques were built for a bygone era when planning, deliberation and predictability were highly valued. And so they struggle becoming product-led. Best-in-class companies flip these reasons on their head. They employ a new way of thinking. They observe, orient, decide and act. What does this look like at a product-led company? First, they start by being customer obsessed. They interact with their customers directly. They bring the voice of the user right into the heart of decision-making at every stage of the process. To do that, they work directly with the customer instead of outsourcing to a centralized research department and make sure that the product team is the expert on the customer. They use data to inform product decisions, not validate decisions they’ve already made. They acknowledge that while you cannot substitute vision with data, you can better understand customer needs and test hypotheses about what customers want by utilizing data. They go beyond vanity metrics and dive deep into their data to understand their customer’s journey. For example, Instacart, an Amplitude customer, doesn’t measure success by looking at vanity metrics like app opens or sessions started. Instead, they take the time to research and define an event that represents a user truly getting value out of their product, what we call the critical event. They then use this metric – which for Instacart is making a purchase – to measure engagement. They make sure those closest to the customer - those that typically have the best understanding of the data - have the power to act and react to customer understanding. Leadership creates this autonomy by ensuring alignment around vision, not direction. They set the framework, and then cascade that down to each team, but give them the autonomy to figure out how they will achieve that vision. Teams are optimized for agility: they can iterate quickly because they have access to the data to quickly prove what is and isn’t working. 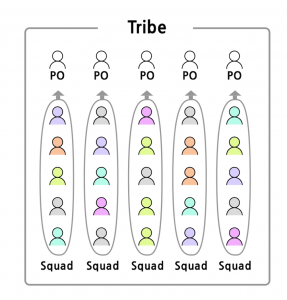 We’ve seen product-led orgs create autonomy by changing their product development processes to a “Pod” or “Squad” structure, popularized by the Spotify product development team. The methodology organizes product development teams into group of people called squads. Squads are united by a shared view of the customer and common definition of success, like engagement or retention. These squads roll up into bigger groups called tribes, which focus on end-to-end business outcomes, forcing a broader picture on all team members. The analytics team at YellowPages takes this setup a step further by using Amplitude to empower squads to answer questions directly without relying on others. This has reduced bottlenecks, increased their pace of learning and ultimately enabled a 100-year-old company to move from quarterly releases to a biweekly release cadence. Instead of following a strict release schedule, team members are held mutually accountable to an outcome. This reduces the finger pointing that can occur between siloed organizations like product and engineering and drives to a collective goal. That goal is rooted in business objectives, not things like sprint points completed, lines of code shipped or number of features delivered. Everyone in the company has visibility into progress towards that objective. So what are you waiting for? Are you going to adapt to the changing environment, or are you going to follow the path of half of the Fortune 500 and fail to evolve? Obsess about the customer and go beyond vanity metrics to understand their entire customer’s journey. Decentralize decision making to empower those closest to the customer to make product decisions and have the agility to ship great product fast. Connect product to business objectives and hold everyone accountable to those outcomes. Interested in learning more? We’d love to talk with you about what it takes to survive in this new product-led era and how Amplitude can help. Get in touch or leave a comment. Editor’s note: This is the first post in our Product Innovator Series exploring what it takes for businesses to survive and thrive in the product-led era. If you’d like us to take on a particular topic under this theme, we’d love to hear from you. Please leave a comment below.